It wasn't nature that created straight lines: it was the limitations of technology. Boleform allows a return to a natural state: live edge lines as natural intended. 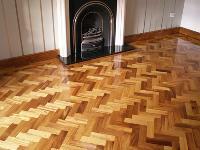 We are engaged in offering premium quality Parquet Wood Flooring to our customers. 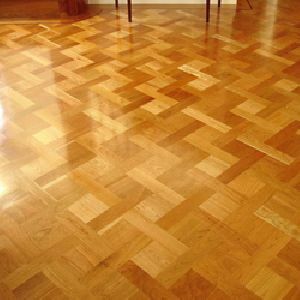 With valuable assistance from our team of skilled professionals, we are offering an extensive range of uniquely designed parquet wood flooring that can enhance the visual appeal of any space. Used primarily indoors in shops, shopping malls, lounges and other such places, the flooring offers high durability at reasonable prices. 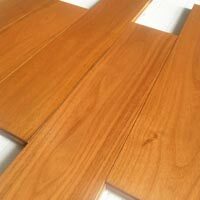 We are listed amidst the emerging Suppliers of wood parquet flooring and have been serving markets with the premium products. Established in Uttar Pradesh(India), we are well-known name offering comprehensive range of products. AC3 Can be applied to more varied location such as Domestic flooring & in small office & other light commercial locations. 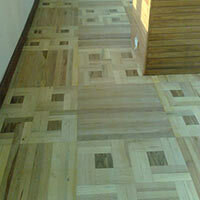 It is Direct Pressure Laminated (DPL) Plantation Wood ) based HDF flooring. 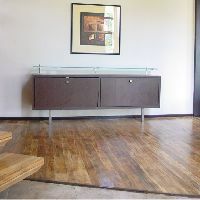 Elegant, timeless and evergreen, nothing compares to the richness and warmth of Solid Wood flooring. 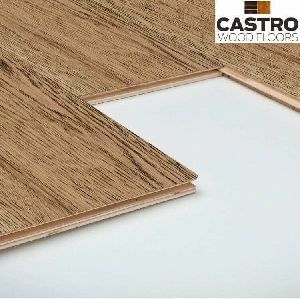 They are available in natural and stained colours Super Solid flooring is appreciated for its beauty, high level of performance and longevity. They are easy to maintain and eco-friendly. Each plank of Super Solid is a single piece of wood from top to bottom. It is precisely milled and pre-finished to 18 mm thickness. 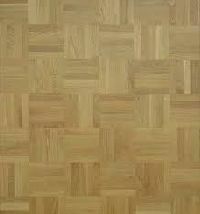 We are offering parquet flooring. 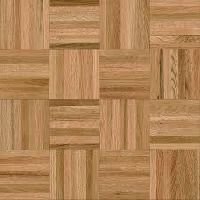 Parquet flooring comes in size 35x10x140 m.m Parquet is a geometric mosaic of wood pieces used for decorative effect. 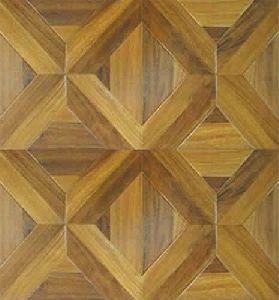 The parquet floor to create a unique and eye-catching pattern. 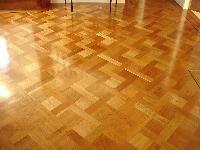 The patterns of parquet flooring are entirely geometrical and are visible as angular squares, triangles, lozenges. 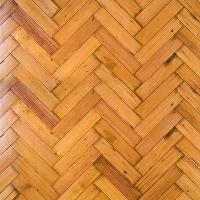 The most popular parquet flooring pattern is herringbone, Basket Weave, Brick Pattern. Parquet wood flooring is composed of short strips or blocks of wood forming a pattern, sometimes with inlays of other woods or other materials used for decorative effect. 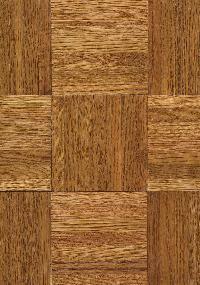 Parquet patterns are entirely geometrical and angular—squares, triangles, lozenges. 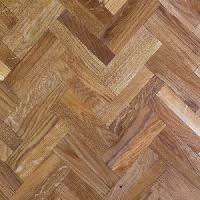 The most popular parquet flooring pattern is herringbone. Thickness - 15.5mm width-180mm top layer-4mm bevel-4bevels. Finishing- lacquer gloss-5% brushed-yes grade-rustic. 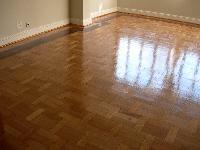 We are offering parquet wooden flooring. 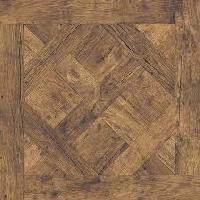 We have a complete devout in manufacturing and supplying highly demanded Parquet Wood Flooring. 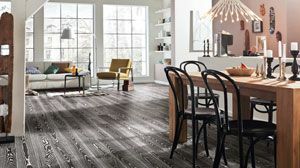 We are engaged in installing attractive patterns and designs for wood flooring which allows the natural grain pattern of wood shine through its parquet design. Concept Interior Solutions Pvt. Ltd.